Happy Valentine's Day! I have been seeing cardinals as well, but the snow really sets off their color. I am sharing vintage Valentine's Day cards at Still woods Farmhouse. Hope you can stop by for a visit! They are pretty birds almost like a big robin red breast, I don't think we get them here most likely too hot in Australia. Read former blogs love your cats past and now, not too keen on your weather too cold. 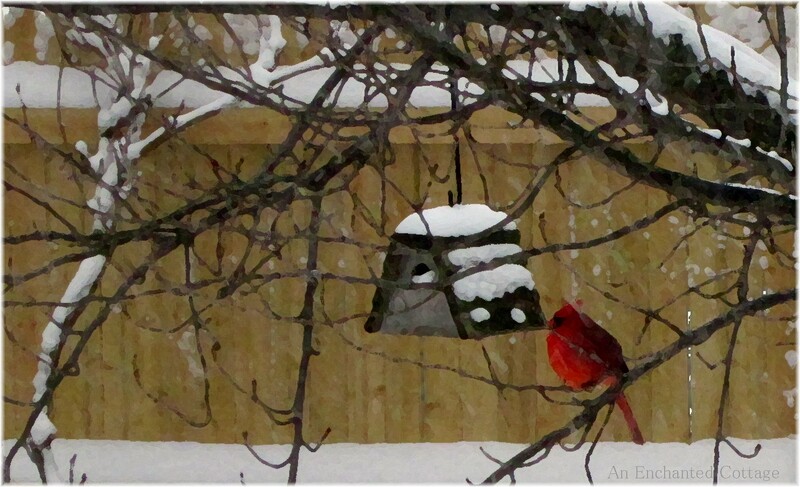 I do love seeing your cardinals. They would so brighten our NW winters. Not sure why we don't have them out here. 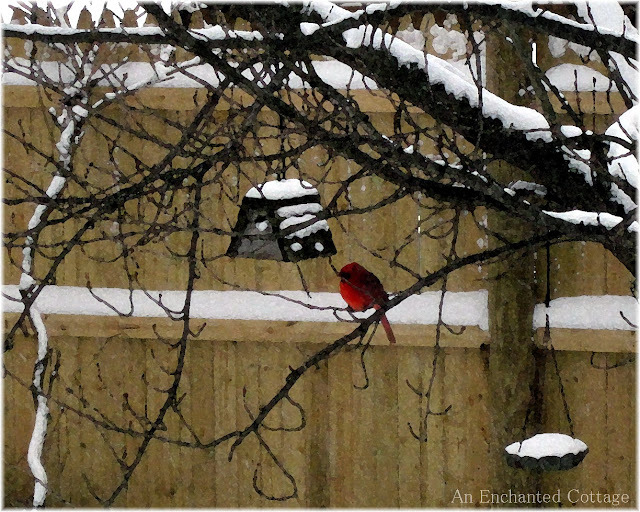 I don't see Cardinals here - loved seeing yours! What a lovely Valentines gift you got! Something we definitely don't see on our feeders in Ireland! It was your cardnials that attracted me to your blog...I love red cardnials in the snow....beautiful pics! But then I saw you love the cottage look and so I had to browse...and then on one post you wrote about the reason....because it brings you back to childhood and a simpler time...and now i am hooked because that is why I also love old vintage wonderful things! 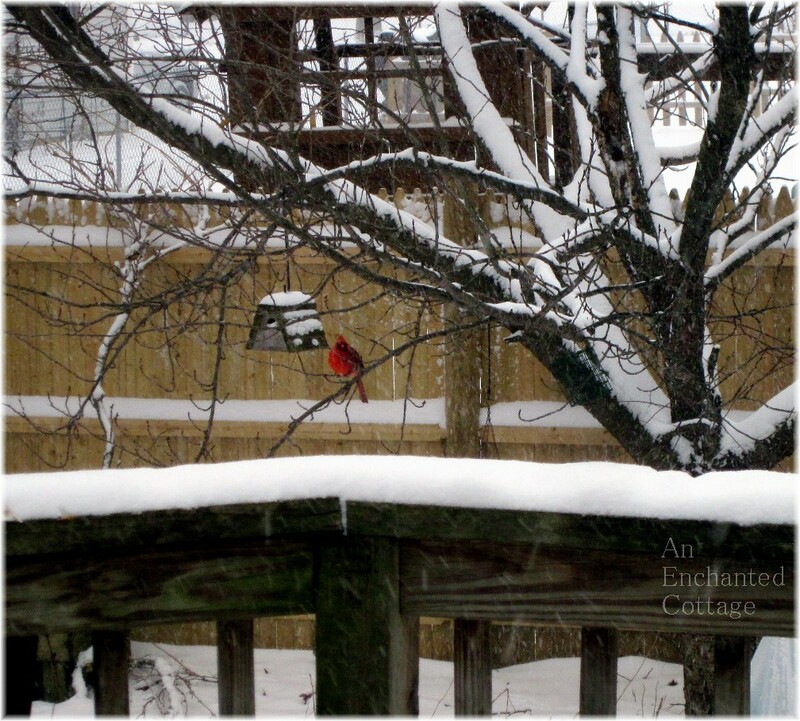 It has been many years since I have seen real cardinals out in the yard. We do not have them here in the Pacific Northwest. 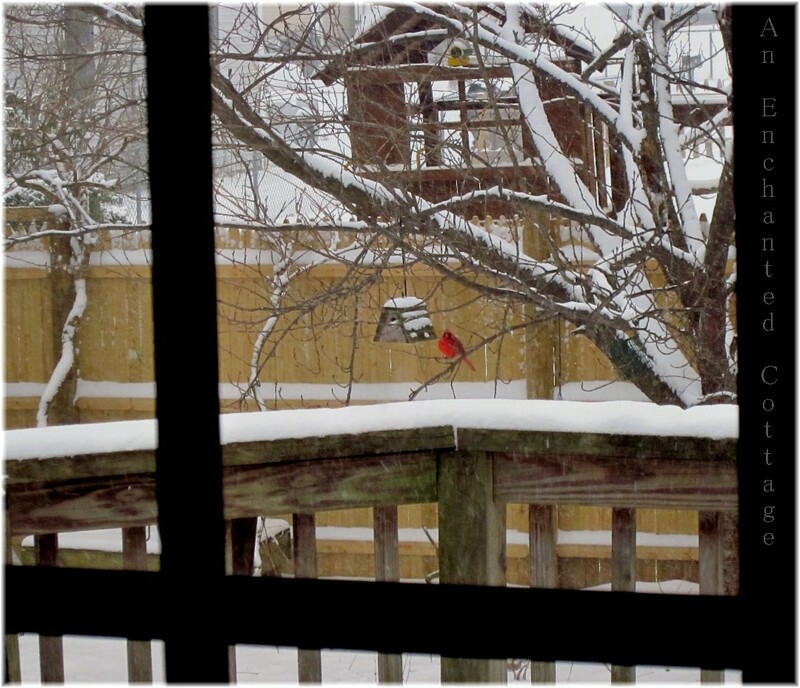 Oh the cardinal is beautiful. And the snow looked gorgeous although it was a little excessive. Thankfully a lot of it has melted. Are you ready for round two? I love seeing the male cardinals, especially in winter when it's so stark out there. You're lucky you got a good shot of him...usually they're very skittish and can sense when someone is too close, even through a window! 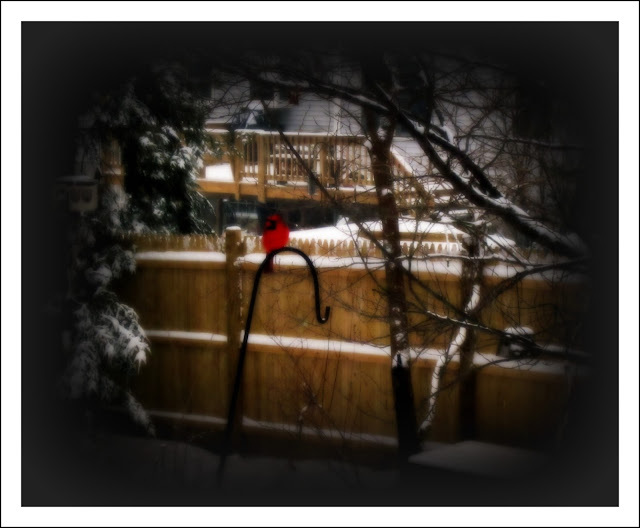 The male cardinals... my favorite bird in winter. Such a beautifully brilliant color with the backdrop of white snow. Thank you for sharing such lovely pictures.